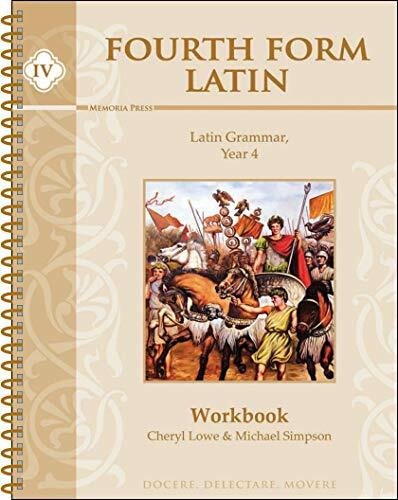 <i>Fourth Form Latin</i> completes the journey of Latin grammar by reviewing all material in <i>First</i>, <i>Second</i>, and <i>Third Form</i>, completing all verb forms for all four conjugations by studying participles, infinitives, gerunds, and much more. <i>Fourth Form</i> continues to employ the identical format of <i>First Form</i>--an attractive, concise Student Text, systematic presentation in five units, extensive Workbook exercises, and a Teacher Manual with everything you need to successfully teach this course. The <i>First Year Henle</i> text is required for some translation practice.